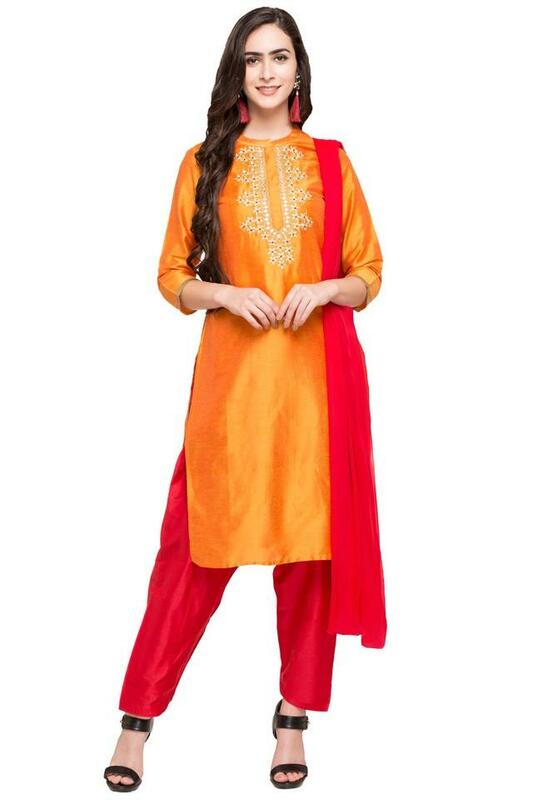 Being a fashion forward woman, you will surely like this salwar suit brought to you by popular brand Imara. 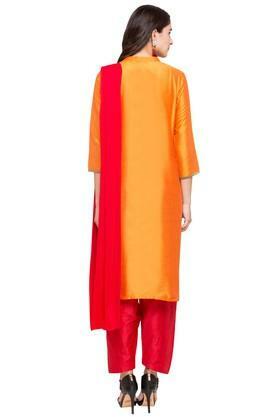 It comes with a mandarin neck that adds to its design, while the three quarter sleeves further accentuate it. 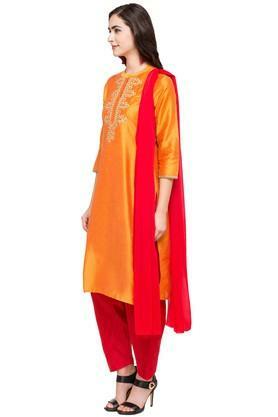 Moreover, the embroidery work at the front lends it a distinct appeal. Look stylish by wearing this beautifully tailored salwar suit with a pair of heeled sandals. You can wear it for any special occasion to get complimented for your sense of style.